The revolution of the latest digital Industrial technology knows as Industry 4.0. It helps to collect and investigate the data from systems. This allows collect faster, flexible and works more accurate from a production of goods with decreasing operating cost. In Industry 4.0, the connected network of the Internet of Things (IoT), will be structured to help companies and customers equally to produce enhanced automation, increased communication, and monitoring, along with new levels of investigation to produce a productive expectation. What is the Industry 4.0.? Industry 4.0 also called the fourth industrial revolution, where it includes automation and data exchange in manufacturing industries with the added technology of Cyber software, IoT, cloud and including identifying, problem resolution, and decision-making (cognitive computing). The technical advancements are making the way to improve in the Manufacturing Industries. Where the product technology we are using for the past to present is entirely different, called an Industrial revolution. The modern production technologies improved the operational circumstances and behavior of peoples in the workplace. Industry 2.0– The revolution started at 1874s, during the period the manufactures engaged with introducing steel and electricity tools. In addition, improved productivity and bettered factory machines more motorized. Industry 3.0– The revolution started in the 1950s, during the period the manufactures advanced with the Programmable Logic Control (PLC) and Computers for automation. This caused abilities in the production of consumer chains and overall production volumes. 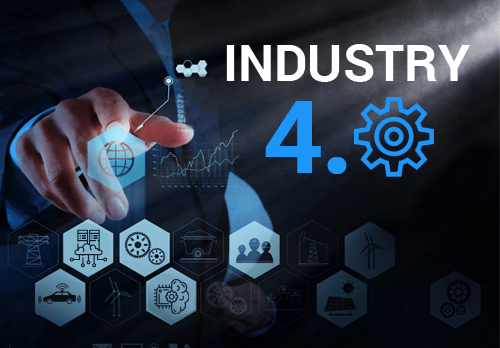 Industry 4.0– A fourth industrial revolution has risen in a recent period, It takes the importance on digital to a new level with the help of internet of Things, connected to real-time data. Provide for a better participation and way of across activities, partners, vendors, goods, and operators. In the intelligent plant of the fourth industrial period (Industry 4.0), advanced automation connected with sensors, real-time analytics, cloud computing, machine learning systems, mobility, augmented reality, and the internet of things, among other technologies. This collaboration of technology in Industries helps managers allows achieving advanced levels of accurate productivity and helps to predict machine failures and material demand progress. The main aim is to develop Industry and to decrease the production cost per unit. Here are the additional advantages for manufacturing industries for the smart factory when compared to the traditional approach to the production of goods. Digitalization in manufacturing industries with the help of the automation process, we can identify and control the bottlenecks in the production system and supply customer chain. With the help of technology, we can get ideas of decision-making and can implement them to save time and expenses. Solutions like identifying failure, problem resolution, and decision-making, monitoring, and predictive division analytics give you the facility to control plant production as its results and make gains quickly where required. It is a softer, smoother way of operating. Industries can increase intelligence and directions into new tools as it’s advanced and extended, your services stay optimized and you can pre-attempt distribute before it affects your business. Then, as these devices prepare data produced, you can also profit from advanced analytics continually increase production with the help of data prepared by automated tools. It helps to read the situation nearby other machines and can make suggestions for process development based on that data. It all records up to a healthier production process and excellent best work. It helps companies to grow stronger and effective with assets at each step of the supply chain, enabling them to manage reliable data on record, quality, and optimization events reporting to logistics. With the help of IoT at a plant, operators can get greater clarity into their assets extensive. Standard asset management businesses such as asset assignments, transfers, relocation, and agreements can well-organized and maintained centrally and in the actual season. Businesses that advance in Industry 4.0 solutions can enhance productivity, expand collaboration between functions, facilitate predictive and determined analytics, and support people, including workers, managers, and officials to more completely hold actual data analysis report to make better choices while maintaining their daily work activities. Predictive analytics can help you be stronger in problem zone when it approaches to directing and solving support and supply chain control problems. How Can We Help Your Business with Industry 4.0? As Industry 4.0 continues transforms industries, businesses will frequently need to be adaptable, and be active, moderately than reactive when trying to get a competing position in a defeating marketplace. We can help you perform Industry 4.0 technologies into your manufacturing industry. We develop and execute software with a flexible and strong that created about the requirements of production, delivery, retail, and enterprise consumers. Planning for Industry 4.0 can seem like a challenging task. We will improve you get there. We are implementing Industry 4.0 for our client’s manufacturers; let us know if your business needs help.